Pretend that you went to the PUB last Wednesday. You would see crowd of students in front of the Coffee Spot. No, it wasn’t the regular line of students waiting to order their cups of coffee, in fact, they weren’t heading to the Coffee Spot. These students went to the Quiet Dining Room. Curiosity would bring you to walk to the same room the students were heading to. A girl in Yukata – Japanese traditional clothing – will welcome you with a bright smile. 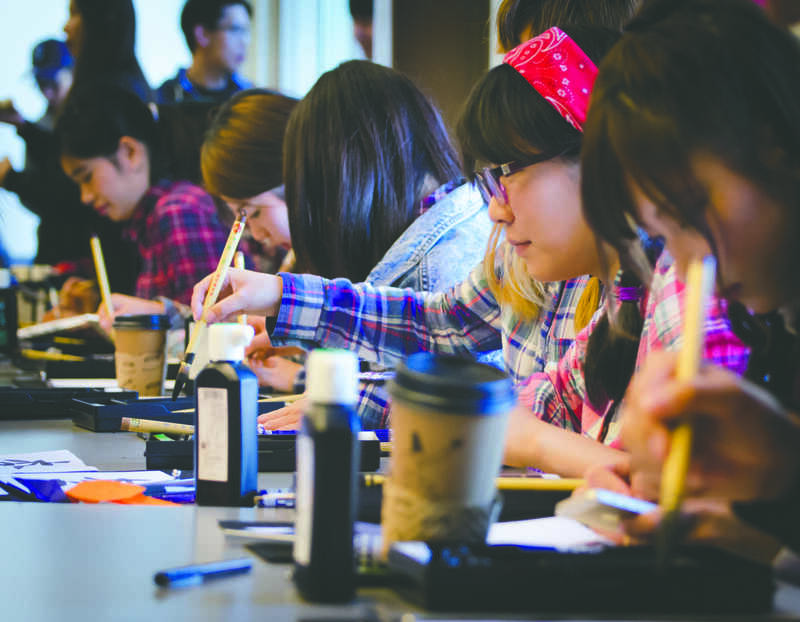 It was the Japanese Cultural Festival, an annual event held by the Trajal Hospitality College (TJHC). This year, the festival was held on Wednesday, Oct 12. 2016, from 9:30 a.m. to 12 p.m. at the Quiet Dining Room. According to Bob Zwingli, the manager of TJHC program, they have been hosting this event for 22 years. 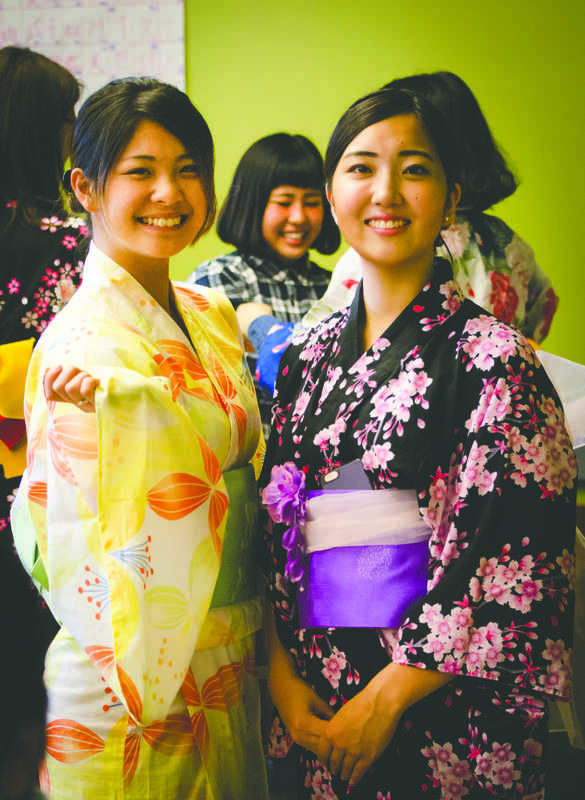 Visitors can learn Japanese culture right from the TJHC students, who are Japanese themselves. 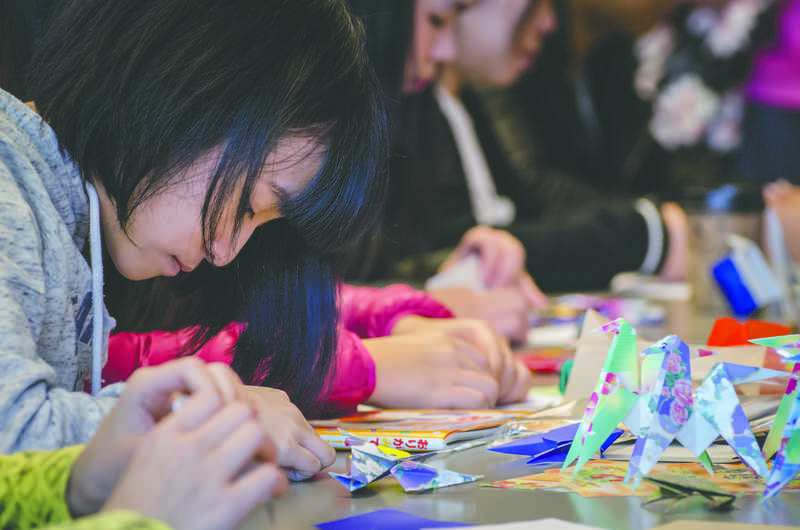 They can learn how to make origami, try on Yukata, play traditional games, and get their names written in kanji characters. Other than that, visitors can also watch a performance by some of the TJHC students. According to Zwingli, the TJHC students do different performances every year. This year, the TJHC students performed modern Japanese pop dance. Heavy Rotation by AKB48 was chosen as the intro song of the dance performance. 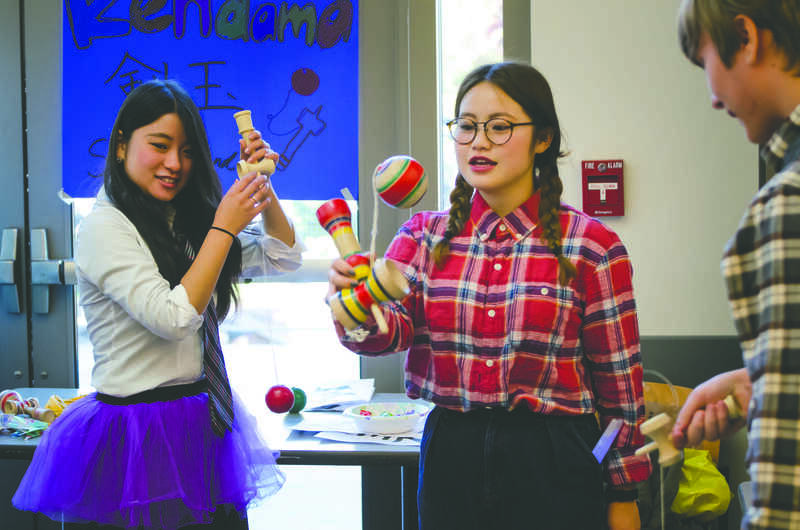 According to Zwingli, the TJHC students usually took weeks to prepare their materials, posters and English skills, but this year, they only took a week to prepare for this festival. Two TJHC students stand ready to help visitors try on yukata. 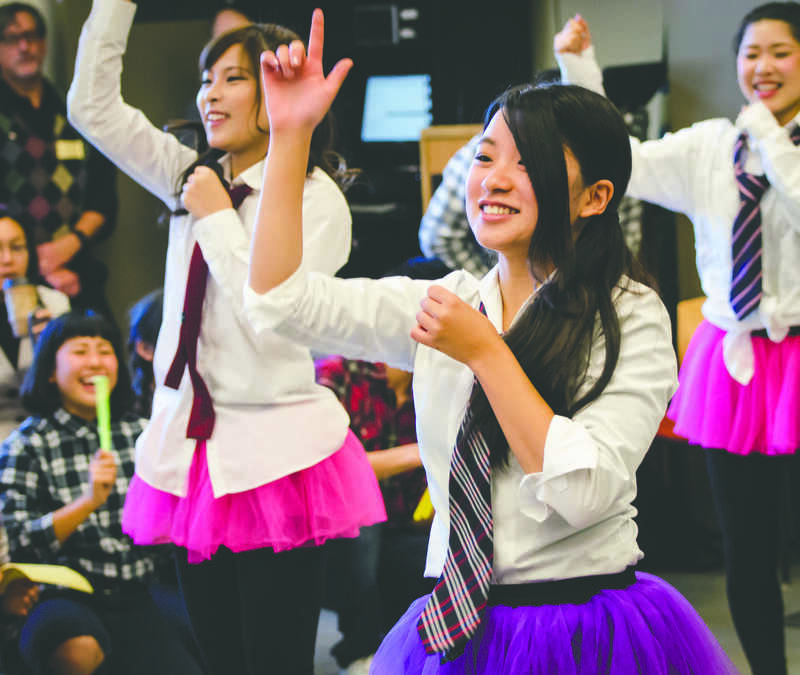 The TJHC students dance to Heavy Rotation, a song from AKB48, a popular Japanese girl group.